Everything you need to bring for your hunt! If you are a Texas resident, you only need the basic type 101 $25 Resident Hunting license. If you are from out of state, you’ll want a type 157 non-resident 5-Day Special Hunting license which is $48 and covers exotics, all legal game birds (except turkeys), all nongame animals, squirrel, javelina and alligator (not valid for other game animals, NOT VALID FOR DEER). Endorsement requirements apply. Go to TX Parks & Wildlife for more info. We recommend a 30 caliber and up – be sure to have it sighted in to at least 300 yards. Don’t forget your ammunition! Bring extra just in case. Don’t forget to bring your binoculars – 10x – 12x is what we recommend. Be sure to bring good hiking boots/shoes. Make sure you break them in BEFORE you come! Our guide, well, he wears sneakers! You’ll need a sturdy backpack to pack your gear in and your sheep out! Temperatures can fluctuate 50 or more degrees a day here. You’ll want to make sure you bring clothing you can layer. We have to go where the sheep are. So you’ll need the drive and physical ability to go where the animals are – the mountain tops. Don’t forget to bring a camera to get pics of your sheep and the beautiful landscape. Not required, but why not book with a buddy?! You can hunt together or separately, either way it’ll be a good time shared between the 2 of you! 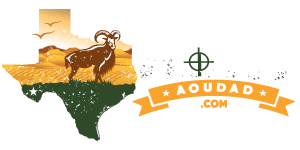 Be sure to bring any other hunting/hiking gear you, personally, may need while on your hunt or what you will need to camp/for your stay. Are you ready to Hunt? The sheep are waiting.